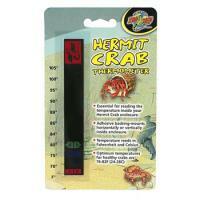 Peel white adhesive paper off back of thermometer and stick to inside back wall of your hermit crab enclosure. 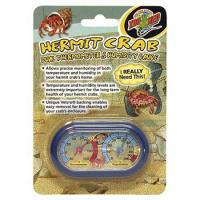 Optimum temperatures for hermit crabs is 76-82 F with a humidity level of 70%. 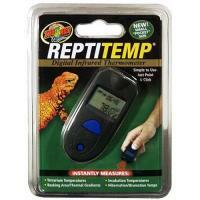 The new REPTITEMP® Digital Infrared Thermometer is a small pocket sized Infrared Thermometer that instantly measures terrarium temperatures with the click of a button. 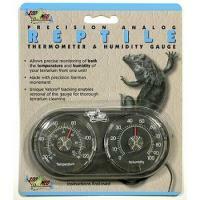 Accurately reads the amount of water vapor saturation (humidity) in the air of the terrarium. 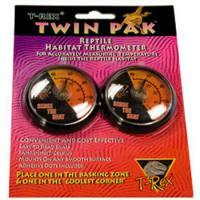 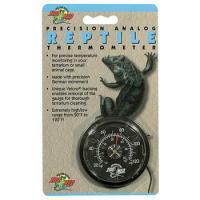 For precise temperature monitoring in terrariums or small animal cages. 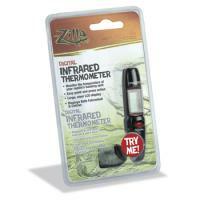 Extreme range from -28 to 60C (-20 to +140F). 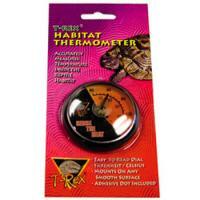 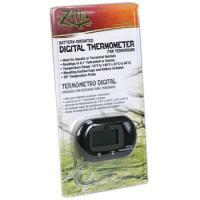 Allows for precise monitoring of both the temperature and humidity of your terrarium. 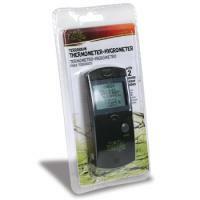 Thermometer scale: -6 to 60C (20 to 140 F). 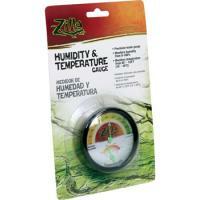 Humidity scale: 0 to 100%. 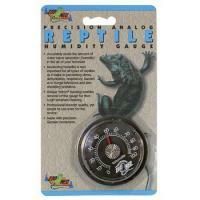 Industry?s first and most accurate analog gauges.